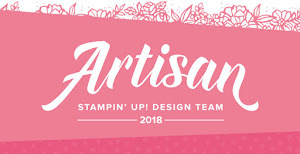 Have you seen this amazing bundle from Stampin' Up! 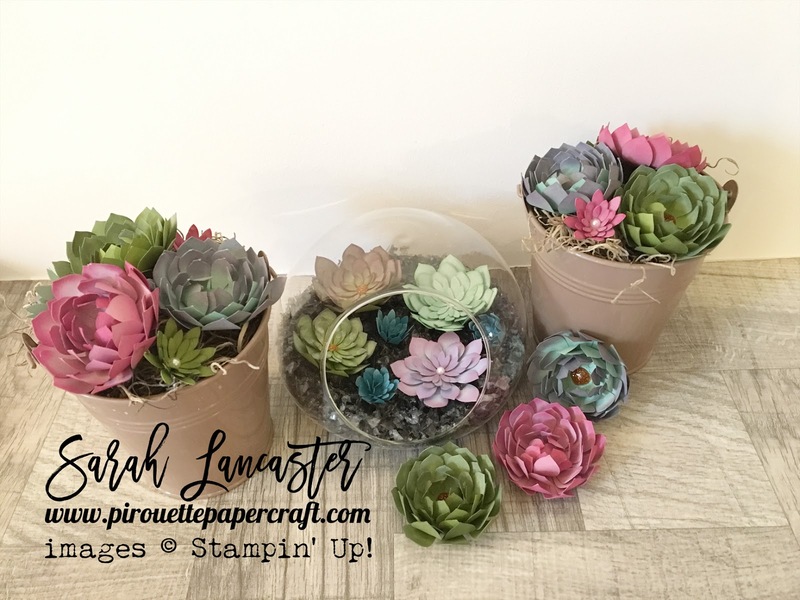 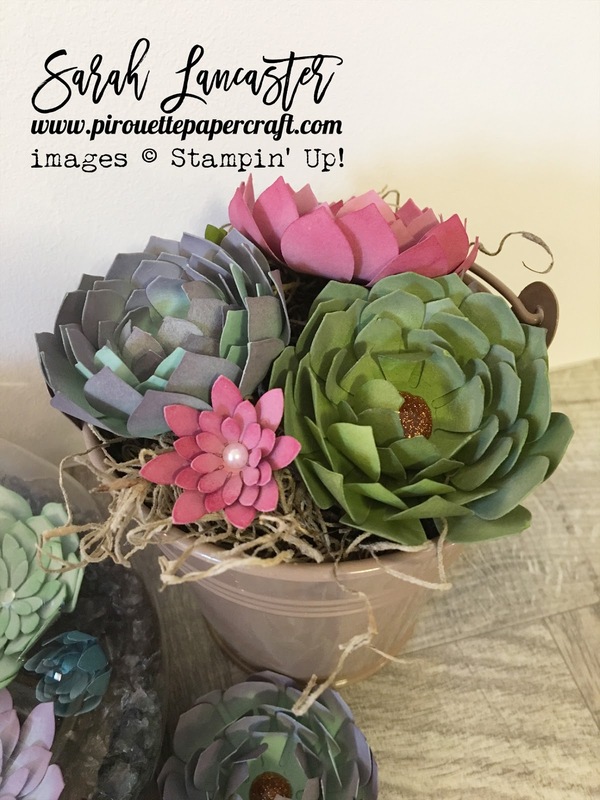 Succulents are really in vogue now and with this set you can easily make your own that will never need watering ! I must admit that I bought the Vertical Garden project kit from the catalogue and enjoyed making it up but felt that the succulents lacked a little something. 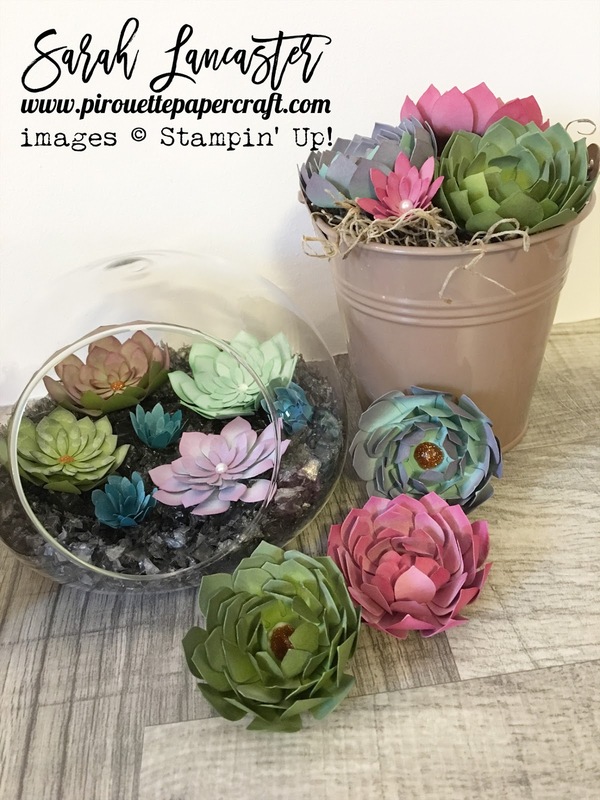 The little glass terrarium I picked up in a sale along with the "stones" - which was actually described as snow but is the perfect colour ! 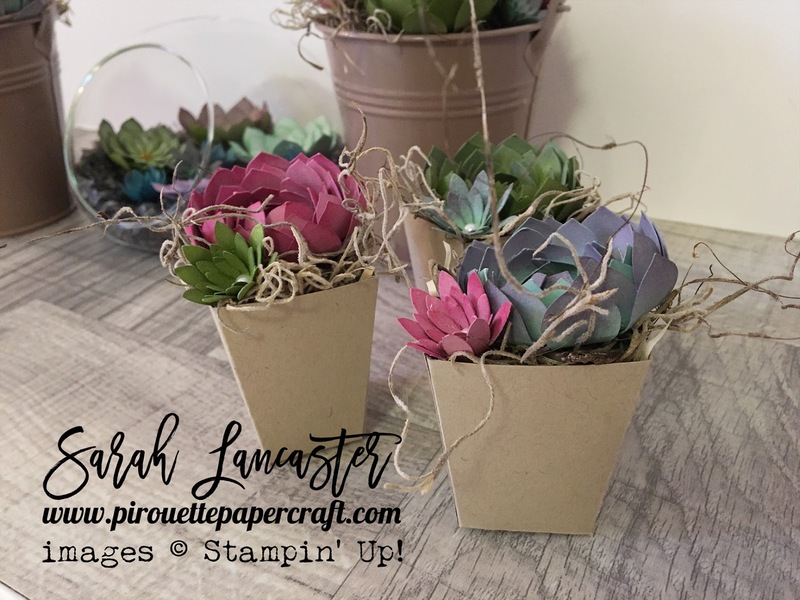 I am planning a workshop/atelier around these creations in March, so if you are interested in attending please contact me to reserve your place.